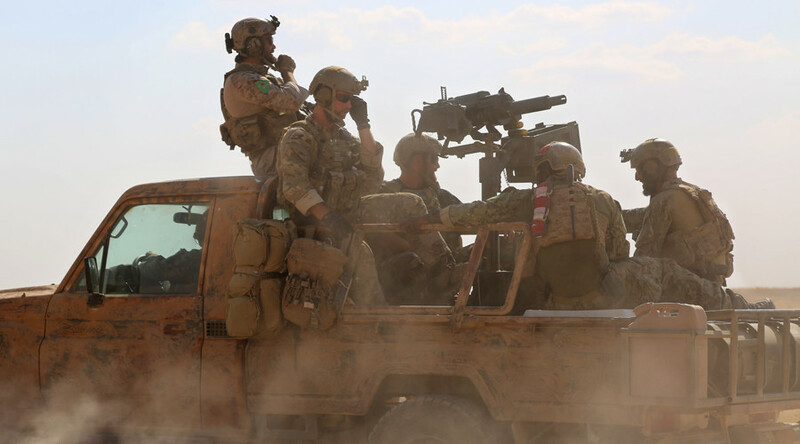 “Five or six” US special forces troops had to withdraw from the town of al-Rai on Syria’s border with Turkey, after allies from the Free Syrian Army (FSA) had driven them out, calling them “infidels” and “crusaders,” several media outlets have reported. Later, a group of rebels purporting to be representatives of Ahrar al-Sharqiya, a militia operating in the area, circulated a video statement, saying that US support of Kurds, who are also fighting Islamic State, was behind their protest. "We and other FSA groups fighting in and around Aleppo say that we remain a free army, and refuse to fight on the side of Americans, who support the terrorist Kurdish PKK. We are halting all military activities until US troops leave the region." The US State Department spokesman John Kirby said the "rhetoric" used by the rebels was “not appropriate” and acknowledged that the opposition “is not a monolith,” but still praised the overall success of Turkey’s operation inside northern Syria. “We knew all along that the Turkish forces would be teaming up with some opposition forces, and in this they have been successful. So, let’s keep in mind the greater goal, which was to choke off that stretch of border so that [ISIS] can’t use it,” he said during a press briefing in Washington. “We’ve discovered this many times in Muslim world, where the US deploys its troops, whether it’s Iraq, or Afghanistan, or Syria, it is seen as the enemy, the occupier. Secondly, the incident highlights the problems the US has been having in identifying moderate Syrian rebels – despite spending billions of dollars 'developing' them - and the fact that this is coming from the supposed allies in the FSA isn’t actually surprising,” Max Abrahms, an associate professor of political science at Northwestern told RT. The Pentagon says it has allocated 40 special operations forces combatants to participate in the Turkish incursion. According to CNN, the joint effort has been labeled Operation Noble Lance, and is the first time the two forces have fought side by side on Syrian soil since the start of the conflict. US-backed rebels force US commandos out of Syrian town.